The Inspire 1 was a revelation when it came out, making it the first filmmaking drone in the world to integrate an HD video transmission system, a 360° rotating gimbal and a 4K camera. All of this was controlled on a single mobile device. It also introduced dual remote controllers – one pilot control and the other camera control. The Zenmuse X5 and X5R cameras released to be used with this quadcopter further strengthen the Inspire as a critical tool for filmmakers around the globe. This drone is meant for advanced and professional filmmakers. The Inspire 2 takes everything that was good about the Inspire 1 and improves it; now it is capable of recording up to 5.2K in CinemaDNG RAW, Apple ProRes, and more. It can accelerate from 0 to 50mph (80kph) in just five seconds and has a maximum speed of 58mph (94kph). The autonomous flight modes, first introduced on the Phantom 4, are now implemented on the Inspire 2, providing two directions of obstacle avoidance. These autonomous modes give even solo pilots the ability to create complex, dramatic shots. An upgraded video transmission system is now capable of dual signal frequency and dual channel, which stream video from an onboard FPV camera and the main camera simultaneously for better pilot and camera operator collaboration. This drone uses the new DJI GO 4 app for both the pilot and camera operators. Another great new feature of the Inspire 2 is the pilot’s camera, which is a small 720p camera fixed to the front just above the standard camera. The pilot’s camera is fixed so the pilot can see where the drone is flying. On the Inspire 1, pilots had a difficult time seeing where the drone was going if the camera operator was moving the camera around. Another new feature is the addition of forward facing sensors that eliminate the risk of running into obstacles while moving forwards. The build quality of the Inspire 2 is just like all other DJI products – phenomenal. The unboxing experience is one of a kind. The Inspire 2 comes in a new hard styrofoam case with clip-locking sides. The body is made out of a lightweight magnesium-aluminum alloy construction. Setup time, at under a minute, is now much faster than the previous generation. For a drone this advanced, this is unheard of. No tools are needed to get this drone ready for flight, and it can reach heights of 16,404ft above sea level, climbing at 20 feet per second. The durability of this quadcopter is great for normal flight, but if it were to crash, a more compact drone like the Phantom 4 would most likely fare better and cost less to fix. The overall strength of the drone has increased from the Inspire 1 and the obstacle avoidance mentioned above greatly reduces your chances of crashing. Firmware updates are frequently released by DJI that can easily be implemented from the DJI GO 4 application. It is always important to update to the most current firmware so any bugs don’t affect your flight. You must also update the remote controller and all of your batteries along with the drone. The smart batteries contain capacity and voltage information that is crucial to the flight and to returning home safely. The flying experience with this masterpiece is second to none. The new more powerful motors make filming fast cars or other subjects a breeze while providing more stable flight. The footage often looks like it was taken from a helicopter rather than a drone, and redundant batteries make flying safer than ever. With the Inspire 1, there were a few reports of batteries failing and drones falling out of the sky. The Inspire 2 is much better suited for flying in cold environments where batteries are most likely to fail. The remote controller is almost identical to the Inspire 1, except for the updated specs on the inside. The drone can now fly 4.3mi (7km) away and still transmit live low latency 1080p video to your device. The signal frequency is 2.8 GHz + 5.4 GHz. A usb type port connects your device for use with the DJI GO 4 app. There is also an extension port and HDMI for other uses. With the release of the Inspire 2, two new cameras were introduced to go along with it – the X4S and X5S. The Zenmuse X4S is the more affordable one, featuring a 1-inch sensor, fast autofocus, 4K video recording in H264, aperture F2.8 – F11, 20MP stills, and DNG RAW. The Zenmuse X5S is for high-end video production with 5.2K video recording, aperture F1.7 – F16, CinemaDNG and ProRes. This camera is also capable of 4k 60fps. The image on the X5S is comparable to that of the RED Weapon or Alexa Mini – top of the line cinema cameras. With image quality this good, there’s no need to go up in a helicopter to get the shot when you have this drone that can do everything. Both of these cameras come with a fully integrated gimbal system for perfectly stable video. The Inspire 2 has many pros: a strong ergonomic design which can flatten to make travel easier, super smooth flight with the new more powerful motors, collision avoidance, dual batteries, and cinema quality cameras to mount. There aren’t many cons – the price is the main one. The Inspire 2 body itself is $2,999.00. The 5.2 camera is an extra $1,899.00 on top of that. But when you consider the cost of going up in a helicopter to get a similar shot, the benefits of drones pay off. This drone is more than just a flying camera – it’s a cinematic filming selection. 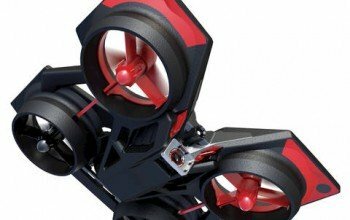 No other drone on the market right now can compete with the specs this one features. I would highly recommend this quad to advanced and professional filmmakers who want to get the best image possible in a relatively compact package. This is in no way a beginner drone. If the price of the Inspire 2 is too daunting, I would consider checking out the DJI Phantom 4 Pro. It has a 1-inch 4k 60 fps camera very similar to the X4S, but it is much cheaper and more compact. The Inspire 2 is great for television and news broadcasters to get a different perspective than everyone else. This is also great for short films and documentaries where superior image quality and cinematic performance are necessary. Another product from DJI you might want to check out is the Matrice 600 Pro. This slightly larger hexacopter is capable of supporting a dslr or other cinema camera on a DJI Ronin gimbal stabilizer. This option does cost more than the Inspire 2 with the X5S camera, but it offers the option of bringing your own camera. With the Ronin, you can also take the gimbal and camera setup off the drone and hand hold it. While you could turn the Inspire on and hold the drone like a gimbal, this is not nearly as elegant as the Ronin. Another option would be to pick up a new or used Inspire 1, now deeply discounted. This drone is still very prevalent in the market and many cinematographers are still using it to get aerial video. With the Zenmuse Micro Four Thirds sensor with a DJI branded 15mm f/1.7 lens capable of capturing crystal clear 4K video and high-definition imagery, you can get images similar to those of the new X5S, but for a little less money. The Inspire 1 can travel at 50mph, ascend as high as 15,000 feet, and fly in sub-zero temperatures. It can come with two types of batteries: a smaller 4500mAh unit allowing up to 18 minutes of flight time, or a larger 5700mAh battery available for up to 22 minutes of flight time. Four indicator lights on top of each battery pack allow you to quickly check the unit’s power levels. With the Inspire 2, the lights are on the body of the drone. This older model only has sensors on the bottom to make landing more stable. The same mechanical arms that rise up after lift-off are used on both drones. This is still a pretty expensive setup, but more manageable than the Inspire 2. The Inspire 2 is sure to be a great success. Even experienced uav pilots are surprised by the superior build quality and stability of the drone. The brand new X4S and X5S cameras make it easy to achieve extremely high resolution images. This drone is phenomenal and anyone who gets the opportunity to fly one will immediately recognize the power and strength the Inspire 2 brings.